To say that James Cameron has an interest in Titanic would probably be an understatement. His blockbuster film, which is currently back in theaters, having been converted to 3D, is just part of his interest in the ill-fated ship. In addition to making a movie about Titanic, Cameron’s also visited the wreckage of the ship, which lays to rest at the bottom of the ocean. With the upcoming 100th anniversary of Titanic’s sinking, we should expect to find plenty of TV coverage on the disaster in the coming weeks. For National Geographic, that includes two interesting looking specials, one of which features James Cameron. The subject of Titanic is something may have taken an interest in over the years. It's a tragic story, which has remained of interest to people for a century, inspiring numerous movies and documentaries to be made in an effort to know and understand what happened to the supposedly "unsinkable" ship. Both of National Geographic's specials explore the subject with a focus on the current state of the wreckage. 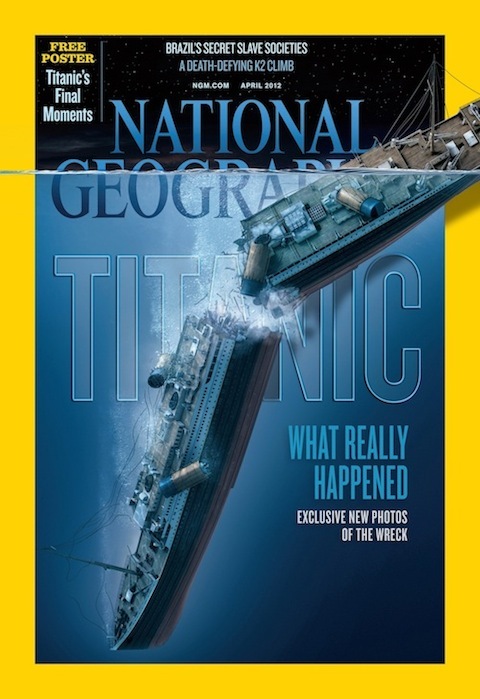 This Sunday, National Geographic will air The Final Word with James Cameron, a two-hour special that features Cameron and a number of other Titanic experts as they discuss the tragedy, and what may be learned from the wreckage. The video below gives us a look at Cameron and his “Titanic Dream Team” as they explore the wreckage of Titanic to study the ship and try to figure out exactly what happened. We also see a few snippets of Cameron’s film. ?In the two-hour special, Oscar-winning filmmaker and National Geographic Explorer-In-Residence James Cameron leads the ultimate cold-case investigation into the tragedy. Also set to air on National Geographic is Save the Titanic with Bob Ballard. The special follows Ballard as he discusses his mission to protect the graveyard that is Titanic and preserve the artifacts of the ship. ?The man who discovered the ship’s final resting place more than 25 years ago is on a new quest: protect Titanic’s massive underwater graveyard. In other Titanic related news, ABC will be airing a new miniseries called Titanic next weekend (April 14/15). More information on that here. History and PBS are also airing specials on Titanic.